MORE UK/EURO/US tour dates coming soon! 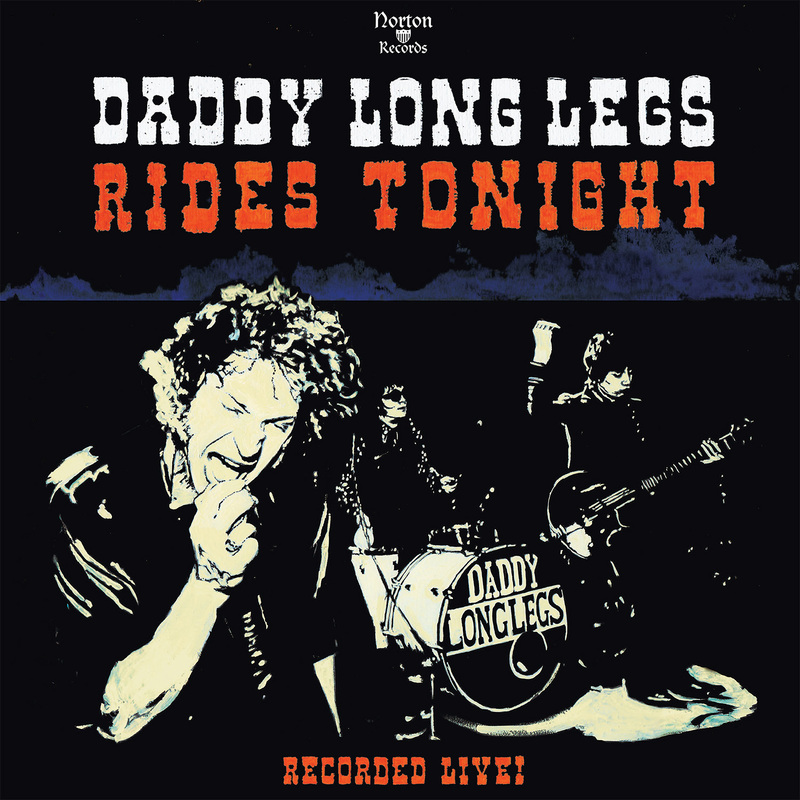 DADDY LONG LEGS - RIDES TONIGHT - RECORDED LIVE! 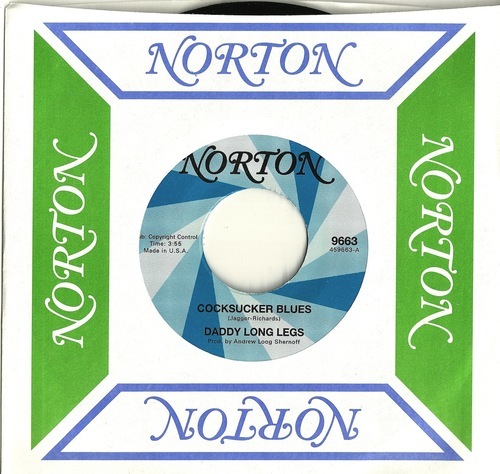 (Norton 402) Here comes the wildest live record in history as the blues wailing Daddy Long Legs drives it home with a live set to end all live sets- what a POUNDER! The guys are on a massive world tour in support of this album- catch them now and often- they are unbeatable! 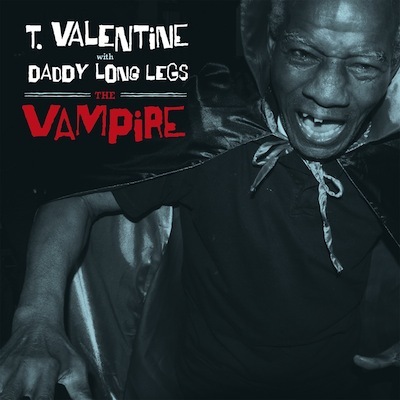 DADDYLONG LEGS, the rock n' blues group, derives its moniker from its harmonica-blastin’ frontman. The trio has taken the music scene by storm, with alarms sounding throughout the East Coast and reverberating across the globe, as they cut through the mediocrity, directly into the meat of real music—from the hipand to the heart. 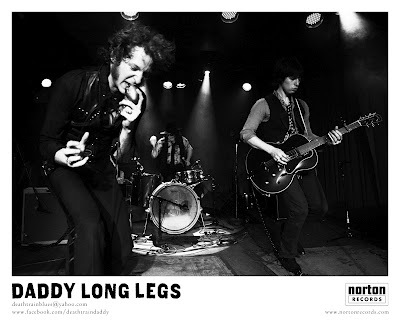 Within a few short months, DADDY LONG LEGS has taken to stages with the likes of the Sonics, the Flamin’ Groovies, the Hoodoo Gurus, Lenny Kaye, Andy Shernoff, the Legendary Stardust Cowboy, and Question Mark And The Mysterians. They have burned down barrelhouse backrooms, afterhours nightspots, and legendary locations like the famed Friars Club, NYC. Their rapid rise in popularity is based in their total lack of pretense-- all three young men are seriously dredged in deep blues baconfat, seasoned, seared, scored and tempered...and baptized in hotwired wine and brine. Their first Norton single, a raw reading of the Rolling Stones Cocksucker Blues, coupled with The Under Assistant West Coast Promotional Man recorded with Andy Shernoff at the helm and at the microphone, brought them to the forefront of the local scene, even catching the ear of Chicago R&B legend T Valentine, who promptly tapped the trio as his band both onstage and in the studio. A much-awaited combined effort, THE VAMPIRE has achieved legendary status. Their debut full-length Norton label offering was EVIL EYE ON YOU, a showcase of the trio’s finest original proclamations, set in a sparse black and white selection that is meaty beyond definition. t was followed by another studio album and a live album on the Norton label. Keep your scopes on DADDY LONG LEGS as they prepare to release their fourth album, this time on Red Eye's Yep Roc label! WHAT THEY'RE SAYING ABOUT... DADDY LONG LEGS! "Daddy Long Legs is a man. A tall man. A tall, well-dressed, imposing man who blows the harmonica as if breathing life and soul into Delta bluesmen long dead… DADDY LONG LEGS, a trio of characters forging rock n' roll spectacle for the eyes and ears, hearkening back to when troubadours drank moonshine and took their role as entertainers more seriously." with an once of Punk garage attitude & an inch of stomper R'nd Roll music trend roots . Their influences 're most to father's of Blues like Howlin' Wolf & futhermore to early - Rollin' Stones . Among their faves covers , D.L.L. dig with brio " comin' after me " classic song by Frisco band The Flamin ' Groovies & futhermore a wyld cover of " Thirty Days " standard by Chuck Berry . The particularity of this trio is the frontman who play harmonica as his mean Bluesman influence Little walter . Belive me next followin ' songs " Death train blues " / " I feel so electric " / " Shackin' up " among 12 tracks on this album 're pure savage vibes & a brightly shot of punk rock'n blues music'spirit . D.L.L. destroy R'n'B & R'nd Roll to ultimate primitive savoir-faire . A must !